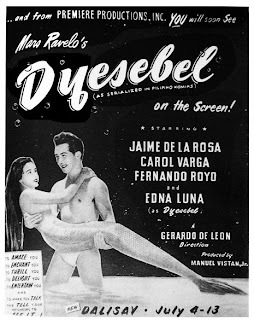 Did you know that besides the ever popular Mars Ravelo creation, Dyesebel and the TV series Marina, we also have other characters portraying mermaids in the silver screen? 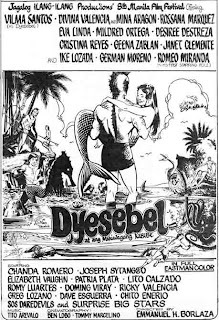 In 1964, eleven years after, Director Gerardo de Leon directed a sequel to his first Dyesebel. 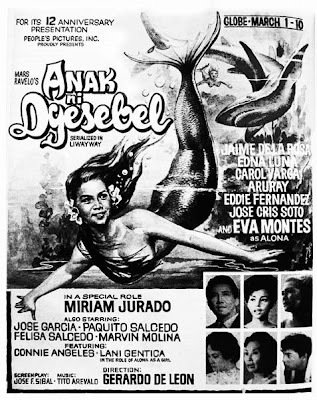 The movie, Anak ni Dyesebel starred Eva Montes as Alona, the mermaid-daughter of Dyesebel. De Leon retained the original cast of Jaime de la Rosa, Edna Luna and Carol Varga. 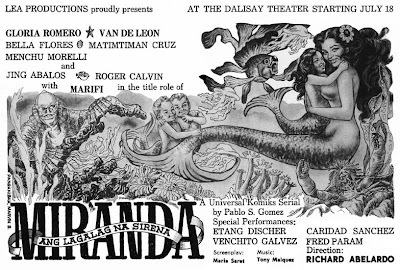 In 1966, Lea Productions produced Miranda, Ang Lagalag na Sirena, a novel by Pablo S. Gomez, serialized in Universal Komiks. Newcomer Marifi (Maria Filomena Araullo in real life) was tapped for the role of Miranda. 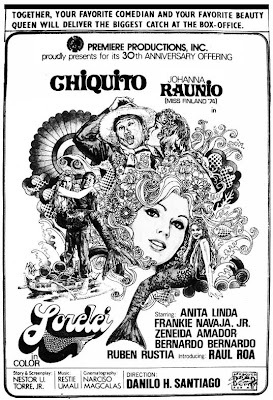 In 1975, fresh from her second runnerup place in the 1974 Miss Universe beauty pageant held in Manila, Miss Finalnd, Johanna Raunio was selected and handpicked to do the role of Lorelei opposite top comedian Chiquito.